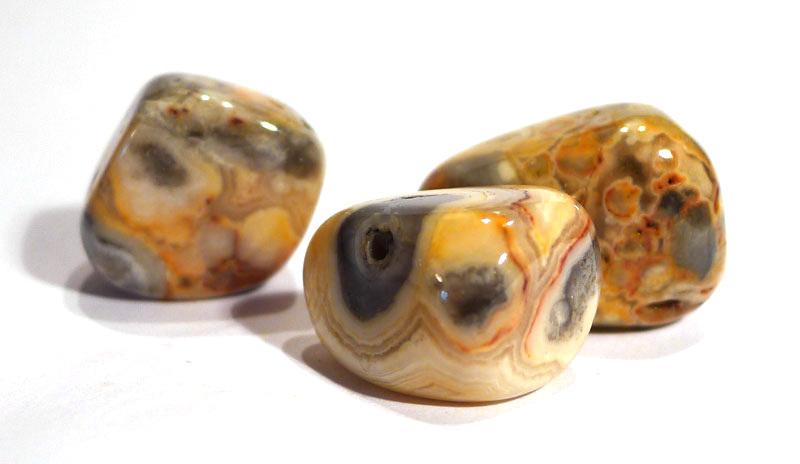 Healing Properties: Crazy lace agate is so-named because of its beautiful and brightly coloured concentric banding. Most of the layering is compact and confined to small areas, giving it its lacy appearance. It shares the general qualities of agate, but the orange colouration from the inclusion of iron oxide reflects its optimistic outlook, and more energising and playful energy.